Living dangerously is the only and real way to be alive. Otherwise, you are dead. The artificial plastic flower is not in danger, the natural flower is. Though it lives for tens of years, the artificial flower is not a flower at all. It looks like one, but it’s not a flower. The natural one, though short-lived, looks and smells like the real thing. It’s vulnerable to the tempest and the ups and downs of winds and weather; yet, it gives refreshing odors. The flower’s beauty lies in its vulnerability. It opens her heart to whatever life throws her way. How much our being can be likened to these two different kinds of flowers? When your life is like the plastic flower, you are nearly dead. No liveliness touches your soul. Your fear is your creed. Such a fear creates a bogus life. Because the springboard you are standing on is fear, your emotions, feelings and thoughts are stifled. In the name of fear, you will call security a success; false feelings will be named love. Anything based on fear will prison you in an ego of your own making. You might be successful, but there is no way you can feel fulfilment. When your life is no different from the natural flower, you are a manifestation of the lotus flower. You welcome the present moment; you live it intensely and passionately. You have no fear of being hurt. Pains will teach you lessons and make you more resilient and wise. You open your heart and enjoy being vulnerable. Such vulnerability will make you stronger, more courageous, and more compassionate. Our today’s star is a natural flower that kept on being vulnerable until she flowers. Out of traumatic events in her life, the fashion and music idol Rihanna has proved to be a combination of vulnerability and strength. She has been brought up in a small island with a drug-addicted father and a producer; later on, who believed that there is no way she could be a singer. Her journey that starts from singing in bathroom till selling millions of albums worldwide is a case worth considering. She learned by experience that in order to gain strength in life she needs to let her guards off and lean into life. In other words, be vulnerable. Her debut album in 2005 came second on the US billboard and was among the top five hits worldwide. Vulnerability taught her how to turn childhood wounds into healing lessons. She became a spokesperson and collaborated with artists in songs about domestic violence. Being vulnerable is all about managing the uncertainty in your life. Through dealing with whatever life events fall on you, you become more strong and alive. Instead of being pushed by your fears to appear strong in front of people, you let your guards off and face the unknown with faith and love. How to Attract Success into Your Life? 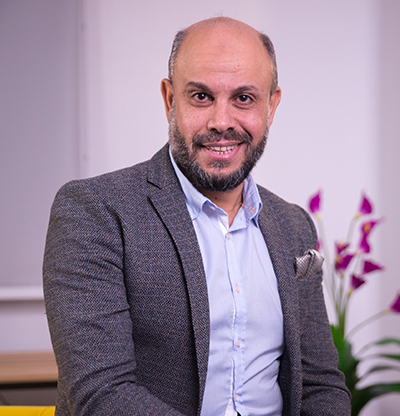 Tareq Alaghoury has more than 25 years of experience in Marketing and Management. Tareq started out his marketing career in 1990 at Alkhaleejiah - a leading publishing Establishment in Riyadh, Saudi Arabia. Alkhaleejiah was the sole advertising representative of highly circulated and leading Newspapers and magazines in the Middle East such as Alsharq Al-Awsat Newspaper, Arab News and Sayidaty. Ready to experience your internal success first? The journey of self-discovery begins with identifying which part of you is dominant: Your Body, Mind, Heart, or Soul. Click here to take this revealing 2-minute-quiz.